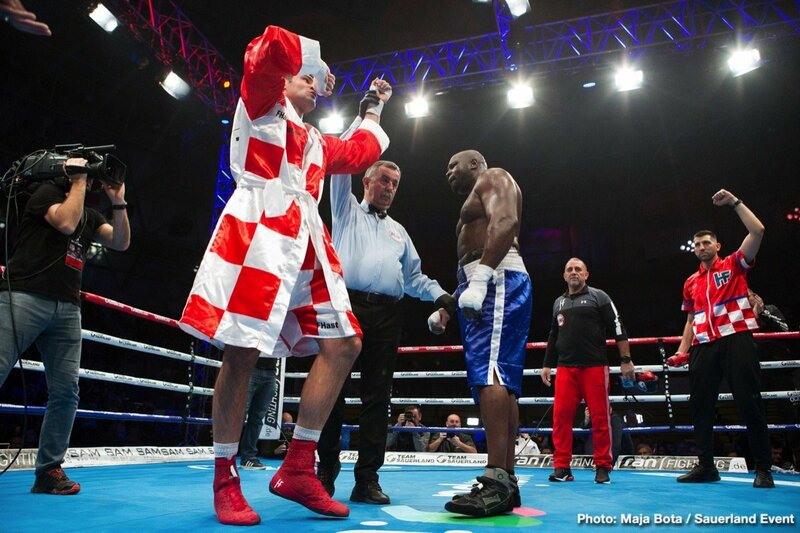 Last night in his native Croatia, unbeaten red-hot heavyweight prospect/contender Filip Hrgovic pounded out a wide eight-round unanimous decision over ultra-durable and ultra-experienced veteran Kevin Johnson. It was one-way traffic pretty much all the way, as was indicated by the scores of the three judges – all three officials having the fight scored the same at 80-71, for Hrgovic. The 26 year old former amateur standout who won, amongst other things, an Olympic bronze medal at the 2016 games, is now 7-0(5). 39 year old Johnson of New Jersey falls to 33-12-1(17). Hrgovic, boxing his fifth fight of the year last night, dominated from the off, jabbing and unloading his powerful right hand. Johnson, though, is a master at rolling with a punch, and when a shot does get through, he has a good chin indeed. This blend of defensive prowess and a solid beard has allowed “KingPin” to earn a good living as a high-class journeyman. Hrgovic perhaps hit Johnson with more clean shots than anyone else this side of Anthony Joshua has ever managed, but still the older man hung tough. Johnson may not make for an exciting fight, but any young pro could learn a lot from watching him, or from fighting him. 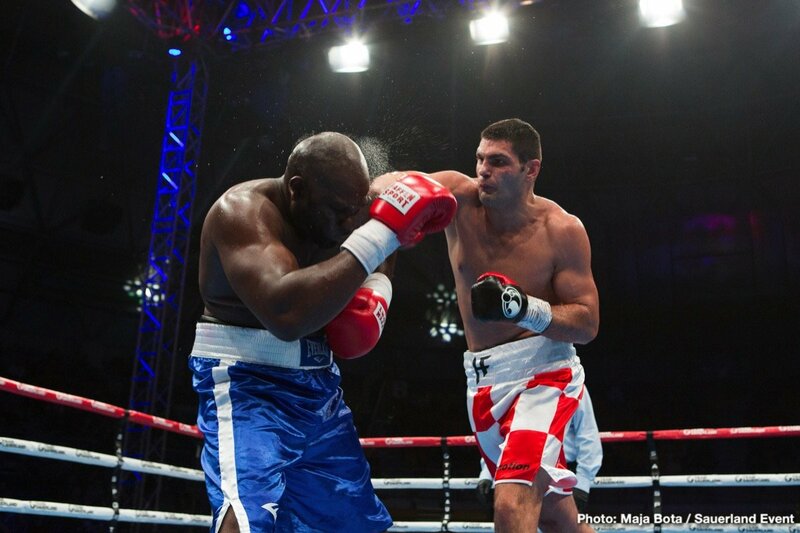 Hrgovic wanted a stoppage win, yet he realised he had to be patient, that the ending blow would not come. Last night’s fight marked the second time in his 15-month pro career that Hrgovic has been taken the distance; Sean Turner managing it back in February of this year. 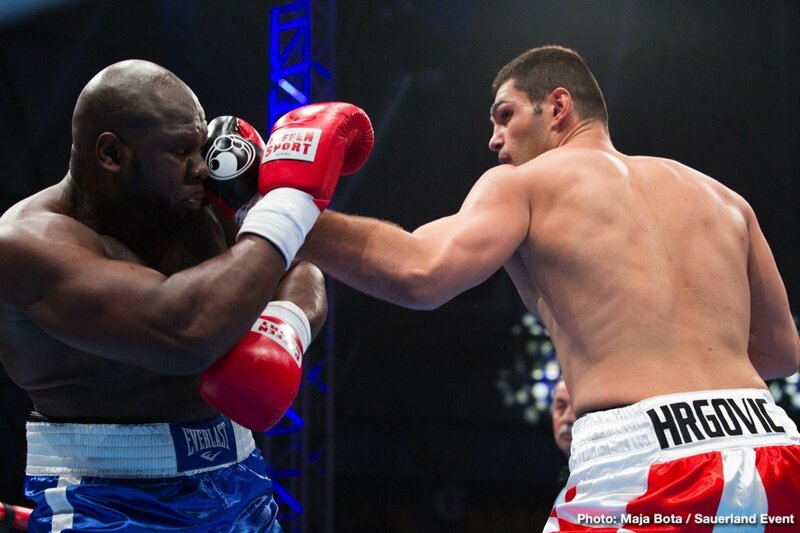 Aside from that it has been all stoppage wins for the reigning WBC international heavyweight champ, his last win, an impressive stoppage over Amir Mansour, really impressing fans and experts. 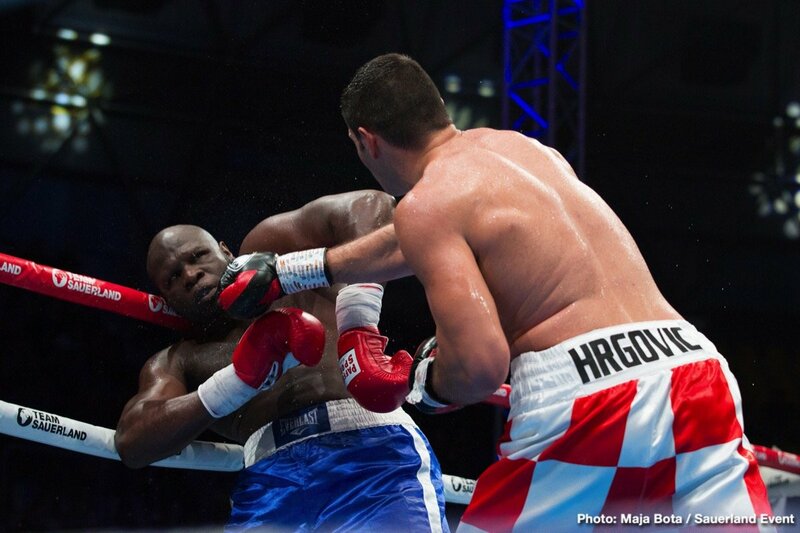 In the opinion of some, Hrgovic is the most talented young up and coming heavyweight on the scene right now. The fact that he was unable to KO Johnson doesn’t change this at all. Johnson has now gone the distance with: Vitali Klitschko, Tyson Fury, Daniel Dubois, Andy Ruiz, Dereck Chisora and Manuel Charr.